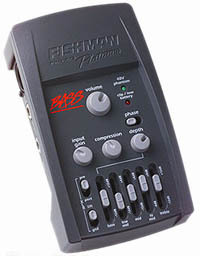 Designed for the Fishman BP100 piezo pickup and the Fishman/Crown condenser microphone. The B-II-An inexpensive impedance matching presence box that sounds good. I use it to up my treble out of my amp.